Well... 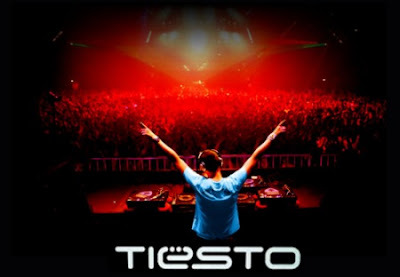 It's now less than six days before I go to Edinburgh, Scotland to see DJ Tiesto perform at The Royal Highland Centre. I'm really looking forward to the event... I'm just not looking forward to the trip up there, and then back again!!! - a six hour car ride each way!!!! I usually get pretty bad travel sickness on short journeys, so I have no idea how I'm going to be on this trip! It starts at 6.00pm Saturday evening and finishes at 4.00am Sunday morning. We're leaving early Saturday, and coming back straight after the event - without any sleep!!! Not sure if I'm gonna make it! Mr Wilson, I do believe that you are attending a rave!! Also, don't be surprised if he isn't on for that entire time - most DJ Events tend to be lots of different artists performing in sets. Hope you have a blast though! Crazy eh!! Michelle keeps telling me that she is going to get me a whistle and a glow stick!